With “going green” becoming more of a necessity than trend of late and Eskom’s increasing tariffs, we need to find alternative sources to create energy at a cost which does not break the bank, nor destroy the earth. Living in a country where a sunny climate is a given, it is ideal to make use of solar geysers versus the old mounted electric geysers. To assist in grid capacity constraints, Eskom launched a residential energy and load shifting program in 2012. Thus we give you the solar geyser. It is a proven fact that a solar geyser will save you money on your electricity, combating the idea of opting for an electric geyser that does just the opposite. 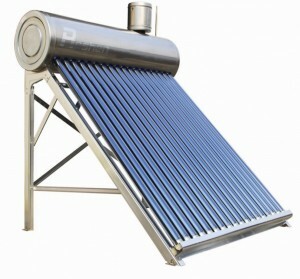 Solar water heating is water heated by the use of just using solar energy, which means no external electricity is used. By installing a solar geyser through a certified plumber, you can cut your electricity bill by up to 70%. Another benefit is, that a solar geyser requires absolutely NO maintenance long term. Currently they are not yet overshadowing the nostalgic old school geysers, but interest and usage is increasing on a daily basis. A solar geyser work on the basis that cold water is heavier than hot water. This is because as water builds up heat and gets warmer, the molecules are moving quicker and have less weight than could water does. This explains when you are boiling water, bubbles form on top of the hot water. 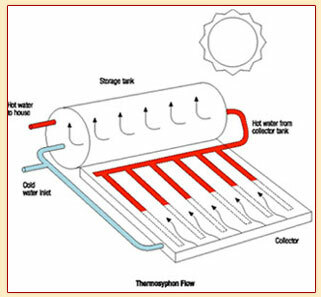 Most users of solar energy geyser install the system on a roof, as this gets the most sun, but it is not limited to roofs. Any area that gathers sun most of the day would be suitable. However, the roofing system does deliver best results for obvious reasons. One being that gravity supplies hot water to your household appliances without having the need for a tank. The official holding tank sits up way higher. A series of absorbing tubes made from glass sits below. Water then flows through these tubes from the tank as the water heats up, ensuring a constant water circulation. When shopping for a solar geyser, make sure you talk to suppliers and plumbers that know all the pros and cons of the specific brand and model solar geyser. Some imported solar geysers may seem cheaper, until there is a malfunction and you have nowhere to send it back to. Rather invest the first time in a well-known and trusted brand. Like most things, it has good & bad aspects, but no matter how you look at it, choosing a solar geyser saves you a lot of money and it’s the green way to go. Eskom is providing rebates to individuals opting for solar geysers instead of normal electric ones as a motivation to change to a greener & energy saving lifestyle. Electricity bill will be cut severely, as there is no continuing cost when using a solar geyser. According to statistics, up to 3.6 tonnes of carbon gasses a year per installed device can be saved by using a solar geyser, cutting down greenhouse gas severely. 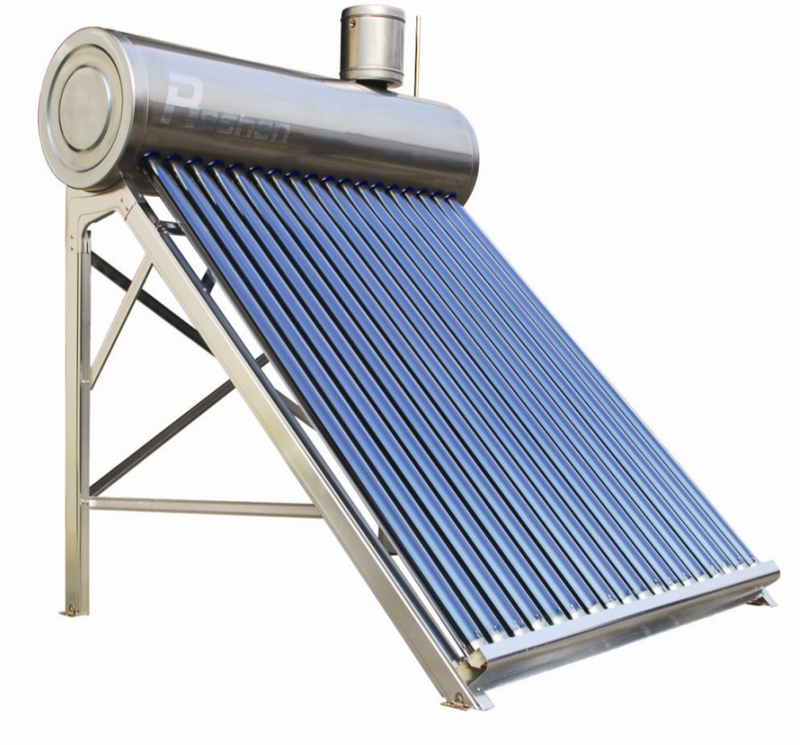 Most of the solar geyser providers in South Africa, provides a warranty. It is important though to check what falls under this warranty. Usually this would include the panel, the tank and the setting up of the solar geyser. South Africa is blessed with the perfect climate for obtaining energy from sunlight to sustain your solar geyser, all throughout the year. Although the onset cost of a solar geyser is far higher than an electric one, the solar geyser will pay for itself in the long run, having no on-going cost. And with the sun power being totally free, your electricity bills will show a difference immediately. According to statistics, an average household will be able to conserve about 40% on their household budget, just by opting for a solar geyser. When looking for a solar geyser, visit trusted dealers with the proper knowledge and background in the field of solar geysers. For this, you surely need an expert. Don’t hesitate to contact us for expert plumbing advice on solar geysers on our 24 hour plumbing line!